Section 1.01. Name. The name of the organization is The A. K. Rice Institute for the Study of Social Systems hereafter referred to as AKRI. AKRI is a national non-profit organization incorporated in the State of Delaware. Section 2.01. Objectives and Purpose. 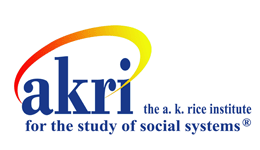 The A. K. Rice Institute for the Study of Social Systems (AKRI hereafter), was established in the United States, to advance the study of social systems and group relations. It seeks to deepen the analysis and understanding of complex systemic psychodynamic and covert processes which give rise to unconscious experience and behavior in individuals, groups, organizations, communities and nations. Using theories and methodologies which derive from a tradition established at the Tavistock Institute for the Study of Social Relations in London UK, AKRI encourages people from all walks of life to participate in its experiential group relations conferences, research and publications, professional meetings, and training and application activities. Participants have the opportunity to learn the multiple ways in which they can take up roles as leaders and followers; exercise authority and accountability; and contribute to the organizational effectiveness of the systems to which they belong. Section 3.01. Non-Profit Legal Status. The A. K. Rice Institute is a Delaware non-profit public benefit corporation, recognized as tax exempt under Section 501(c)(3) of the United States Revenue Code. Section 3.02. Exempt Activities Limitation. Notwithstanding any other provision of these Bylaws, no director, officer, employee, member, or representative of this corporation shall take any action or carry on any activities by or on behalf of the corporation not permitted to be taken or carried on by an organization exempt under Section 501(c)(3) of the Internal Revenue Code as it now exists or may be amended, or by any organization contributions to which they are deductible under Section 170(c)(2) of such Code and Regulations as it now exists or may be amended. No part of the net earnings of the Corporation shall inure to the benefit or be distributable to any director, officer, member, or other private person, except that the Corporation shall be authorized and empowered to pay reasonable compensation for services rendered and to make payments and distributions in furtherance of the purposes set forth in the Articles of Incorporation and these Bylaws. Section 4.01. Membership. Membership is open to anyone who has participated in an experiential group relations conference or equivalent educational event offered by AKRI, its Affiliates, or such other organizations identified with group relations work that the Board may recognize. Equivalent experiential activities may include, but are not limited to, group relations events which are components of coursework in educational institutions, workshops, and similar programs. Section 4.02. Dues. Members shall pay dues as determined by the Board of Directors. (a) Only AKRI Members shall have the right to vote, hold office, serve on the Board of Directors as Internal Directors, or as President, or Vice President. (b) Whenever a vote of Members is prescribed by the Board of Directors or these Bylaws, each Member in good standing shall be entitled to one vote. Decisions of the Members, other than bylaws amendments and recall votes, shall be determined by a majority of the votes cast. (c) The record date for determining Members in good standing and entitled to vote shall be determined by the Board of Directors. (d) A vote of the Members may be conducted by mail ballot, e-mail voting, web based voting, in person at a meeting of the Members, or in such other manner as prescribed by the Board of Directors. Section 4.04. Conditions, Rights and Liabilities of Membership. The amount and manner of imposing dues, the amount and manner of imposing assessments, fines and penalties, if any, the manner of suspension, termination or reinstatement of Membership, and any other conditions, rights or liabilities of Membership shall be as prescribed by the Board of Directors and consistent with these Bylaws. Section 5.01. Organizational Affiliations and Alliances. 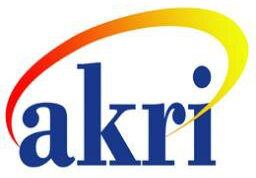 The Institute may enter into contractual relations with other organizations as they relate to the Mission of AKRI as determined by the Board of Directors and consistent with these Bylaws. Such contractual relationship may include, but not be limited to, affiliations, strategic alliances, partnerships, consortia, or joint ventures. Section 6.01. Authority. The activities and affairs of the organization shall be managed by or under the direction of its governing body, which is herein referred to as the Board of Directors. The Board shall have all powers and responsibilities conferred upon a board of directors of a nonprofit, non-stock corporation by the General Corporation Law of the State of Delaware, except such powers or responsibilities as may be limited by the Certificate of Incorporation or these Bylaws. Section 6.02. Function. The essential function of the Board of Directors shall be to establish and regularly review the strategic direction and operating policies and procedures for the Institute. Section 6.03. Activities. The activities of the Board may include but are not limited to: determining, and periodically reviewing, the Institute’s mission and purpose; approving and monitoring AKRI’s programs and services; providing sound financial management; taking an active role in fund development; working to advance the Institute’s public image; assuring that information and activities among its membership is coordinated; representing AKRI in relationship to other organizations; establishing, and periodically reviewing, the minimum criteria for performing work in the name of AKRI; overseeing the hiring/firing and evaluating of all staff positions of the organization. Section 6.04. Composition. The Board of Directors shall consist of the President, the President-elect or Past-President, and seven other Directors, who are either Members of AKRI or Public Directors (individuals who are not Members of AKRI), as well as one to three Affiliate Representatives, in proportion to the number of Affiliates maintaining formal affiliation agreements with AKRI. The sitting Board members shall determine the ratio of Members ("internal") to Public ("external") directors, based on the needs of the organization and the availability of suitable and interested candidates at each election. External Directors (as well as Internal Directors) shall have the right to chair AKRI committees, and present motions or resolutions at meetings. Section 6.04.1. Affiliate Representatives. Affiliate Representatives shall represent Affiliate concerns (at-large) to the Board and communicate Board matters to the Affiliates. Affiliate Representatives shall have full voting privileges as members of the AKRI Board of Directors. As Affiliate Representatives are required to be members of AKRI, they function as Internal Directors. The number of Affiliate Representative seats on the Board shall be governed by the number of formal Affiliates, as set out in the Governance section of AKRI's Policy and Procedure manual. Section 6.05. Manner of election and term of service. (a) To enhance an orderly transition, the first Board of Directors to serve under these Bylaws shall be appointed by the Institute’s current Board of Directors and shall serve a term as prescribed by Board policy. Thereafter, AKRI Directors shall be elected in accordance with these Bylaws. (b) AKRI Board membership shall be attained through election by the Members of AKRI in accordance with policies set forth by the Board of Directors, and serves for a term of three years. Board membership shall be linked to the Mission, Purpose and Functions of AKRI, and, to the extent possible, reflect all regions of the Institute. (c) Affiliate Representatives shall be elected by the Members of AKRI and any formally affiliated local Affiliate, in accordance with the policies set forth by the Board of Directors, in the Policy & Procedures manual. AKRI Members who are not also members of any local Affiliate shall not vote for Affiliate Representatives. (d) External Directors will be elected by the Board of Directors of AKRI in accordance with policies set forth by the Board, and serve for a term of three years. Board membership shall be linked to supporting the Mission, Purpose and Functions of AKRI. (e) The Board may appoint other ex-officio members (who shall not vote) and may invite individuals to participate (but not vote) in Board meetings from time to time or for defined periods of time, as it deems their involvement will enhance the functioning of AKRI. (f) All AKRI Directors may be elected to serve no more than two (2), three-year terms in succession. The Board of Directors shall be responsible for ensuring that terms are staggered in such a way as to enhance orderly transition. Affiliate Representatives may be elected to only one (1) term as Affiliate Representative. However, as Internal Directors, Affiliate Representatives may be elected to one (1) subsequent term (only) as Internal Director. Section 6.06 Board Meetings. The Board shall hold at least one regular annual board meeting to conduct the business and affairs of the organization. Such meeting shall be held in the Fall of each calendar year. The Board may hold other meetings, including conference call meetings, at such times and places as may be established from time to time by the Board. Section 6.07 Notice. Notice of each meeting of the Board shall be given by the President, Vice President or the Secretary to all members of the Board by e-mail or telephone not less than two weeks prior to the date on which the meeting is scheduled to be held. The proposed agenda for the meeting shall be included in the notice of the meeting. The matters to be discussed and voted upon at any duly called meeting of the Board shall not be limited to those set forth in the notice of such meeting. Section 6.08. Waiver of notice. Whenever any notice is required to be given to any Director under the provisions of these Bylaws or the Certificate of Incorporation, a waiver thereof in writing signed by the person entitled to such notice, whether before or after the time stated therein, shall be conclusively deemed to be equivalent to such notice. Section 6.09. Quorum. Except as otherwise required by the Certificate of Incorporation, a majority of the Directors entitled to vote shall constitute a quorum for the transaction of business by the Board. Section 6.10. Manner of acting. Each Director, excluding the President, shall have one vote. The President shall vote only to break a tie. A majority vote of the Directors present and voting at a meeting at which there is a quorum shall be the act of the Board unless a greater number is required by law, the Certificate of Incorporation or these Bylaws. The manner of acting defined in this section may also be effected by mail, facsimile, or E-mail votes. Section 6.11. Action by consent. Any action required or permitted to be taken at any meeting of the Board of Directors may be taken without a meeting if a written consent to such action is signed by all Directors and such written consent is filed with the minutes of the Board meetings. Section 6.12. Meetings of the Members. (a) AKRI meetings of its Members may be held on a date fixed from time to time by the Board of Directors and may be held at such place as the Board of Directors may specify. (b) Written notice of all AKRI meetings of the Members shall be given, stating the place, date, hour and agenda of the meeting. The notice of any meeting shall also include any additional statements, information, or documents prescribed by the General Corporation Law. Such notice shall be given not less than ten nor more than sixty days before the date of the meeting. Section 6.13. Vacancies and Resignations. Should vacancies or resignations of Directors other than the AKRI President occur, an interim Director may be appointed by a majority vote of a quorum of the Board of Directors until a new Director is elected. The election shall be held as soon as possible, in the same manner as regular elections, and the newly elected Director shall serve for the remainder of the term. Section 6.14. Removal of Directors. Any AKRI Board of Directors Member may be removed for cause by a two-third majority of the ballots cast by AKRI Members in a recall vote. Such vote may be initiated by the Board of Directors or by petition of ten percent of the Members of AKRI. Any Public Director may be removed for cause by a two-third majority of the ballots cast by the AKRI Board of Directors in a recall vote. Such vote may be initiated by any Director of the AKRI Board of Directors. Section 7.01. Election and term. The officers shall be the President, the Vice-President, the Secretary, and the Treasurer. Other officers may be designated by the Board as needed. With the exception of the President, all officers shall be elected by a majority vote of a quorum of the Board of Directors and shall serve a term of one year or until their successors shall be elected and shall have qualified or until reappointed. Section 7.02 President. The President, who must be a Member of AKRI, is responsible for the implementation of Board policy directives and resolutions in accordance with the Bylaws. The President shall preside, or delegate presiding, at meetings of the Board of Directors, at meetings of the Executive Committee, and at any business meetings of the Membership. The President shall represent or delegate representation of AKRI to other organizations or individuals. The President shall establish committees other than any Executive Committee or standing committees and, with the advice and consent of the Board, appoint committee chairs of standing committees. With the advice of the Board, the President shall appoint chairs of committees other than standing committees. With the advice of each committee chair, the President shall appoint committee members or authorize the committee chair to do so. The President shall be elected by a majority of the votes cast by the Members of AKRI, such election being held each three years in accordance with policy directives. The individual elected shall serve a four year term, the first year of which shall be as a President-elect and the last year as Past-President. The President may be elected to serve on the Board of Directors no more than two full terms in succession. The President shall only vote to break a tie. Section 7.03. Vice-President. The Vice-President, who must be a Member of AKRI, shall act in the place of the President whenever the President may be absent or incapacitated. Should the office of the President become vacant, and should there be no President-elect or Past-President, the Vice-President shall succeed to that office until a new President is elected. The Vice-President must be elected from among those serving on the Board. Section 7.04. Secretary. The Secretary shall be responsible for ensuring that the official records of all proceedings of meetings and actions of the organization are maintained. The Secretary shall chair the Administrative Committee. Section 7.05. Treasurer. The Treasurer will supervise the financial affairs of the organization and shall have all the powers and perform all duties commonly incident to and vested in the office of Treasurer. The Treasurer shall develop an annual budget for review by the Board. The Treasurer shall chair the Finance Committee. Section 7.06. Vacancies and Resignations. When the office of President becomes vacant, the President-elect or Past-President shall immediately assume the office of President. In the event that there is no President-elect or Past-President, the Vice-President shall succeed to the office of President until a new President is elected. The election shall be held as soon as possible, in the same manner as regular elections, and the newly elected President shall serve for the remainder of the term. Vacancies or resignations of officers other than the President shall be filled by a majority vote of a quorum of the Board of Directors. Officers elected to fill vacancies other than the office of President shall serve out the remainder of the term of office. Section 7.07. Removal of officers. The President may be removed by a two-third majority of the ballots cast by AKRI Members in a recall vote. Such vote may be initiated by the Board of Directors or by petition of ten percent of the Members of AKRI. Any other officer may be removed from office by a two-third vote of a quorum of the Board of Directors, with or without cause, whenever in their judgment the best interests of AKRI would be served thereby. Section 8.01. General Responsibilities. Committees are responsible to the Board of Directors. They are advisory to the Board and shall make recommendations to the Board, which need not be bound by those recommendations. However, upon resolution of the Board, a committee may be authorized to take action on behalf of the Board. Section 8.02. Executive Committee. The Board of Directors will create an Executive Committee, which shall have authority to act in accordance with the policies of the Board to implement those policies. The Executive Committee shall be accountable to the Board of Directors and shall report all its activities to the Board. The Board of Directors shall have the responsibility to review Executive Committee actions and recommendations. The Executive Committee shall consist of a minimum of three people, one of whom shall be the President. Executive Committee members shall be appointed by the President with advice from the Board and shall serve one year renewable terms. Membership of the Executive Committee shall include, but not be limited to: the President, Vice-President, Treasurer, and Secretary. Decisions of the Executive Committee shall be by majority vote. Section 8.03. Standing Committees. The President shall appoint committee chairs with the advice and consent of the Board. Unless otherwise indicated, Standing Committee chairs need not be members of the Board, and committee chair appointments shall be reviewed by the Board annually. The President shall appoint committee members with the advice of the committee chair or authorize the committee chair to appoint. Standing Committees must consist of members from more than one geographical region. As delegated by the Board of Directors, Standing Committees may assume managerial responsibility for particular projects. Section 8.04. Other Committees. The President may, from time to time, designate other and additional committees for such purposes, powers and duties as the Board may prescribe. The President shall appoint chairs for these committees and shall appoint members with the advice of the chair or authorize the chair to appoint. Section 9.01 Rules of Order in Special Circumstances. While the organization will not ordinarily operate according to Robert’s Rules of Order Newly Revised, but when the Board, by three-fourths majority vote, deems it necessary, Robert’s Rules of Order may be invoked. This would be especially appropriate in the instance of protecting the right of a minority of Board members to make themselves heard or put on record as being in opposition. (c) Any other educational or scientific organization(s), which qualify as an organization described in Section 501(c)(3) of the Internal Revenue Code. Section 10.01. Subject to the provisions of the Certificate of Incorporation and the provisions of the General Corporation Law of Delaware, the power to amend or repeal these Bylaws and to adopt new Bylaws may be exercised by a two-thirds majority vote of a quorum of the Board of Directors, which must be ratified by a two-thirds majority vote of the ballots cast by AKRI Members. Such vote may be initiated by the Board of Directors or by petition of ten percent of the Members of AKRI.